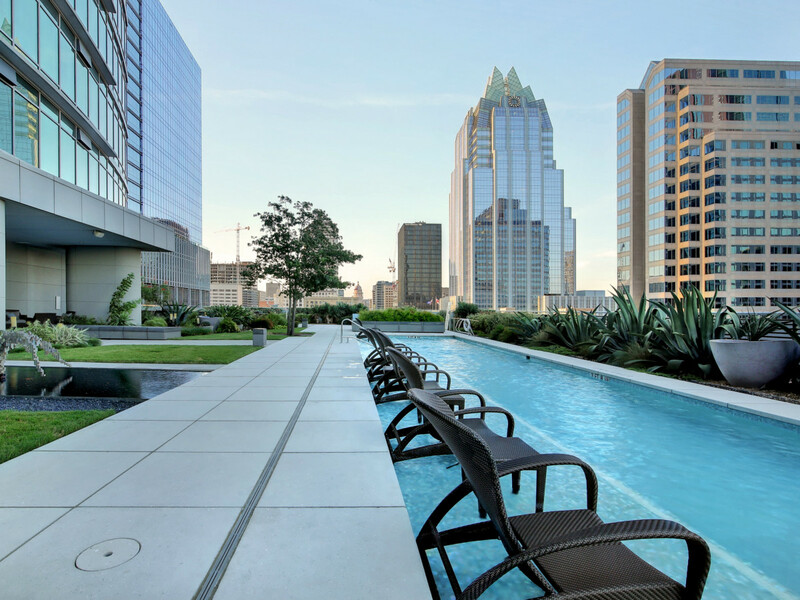 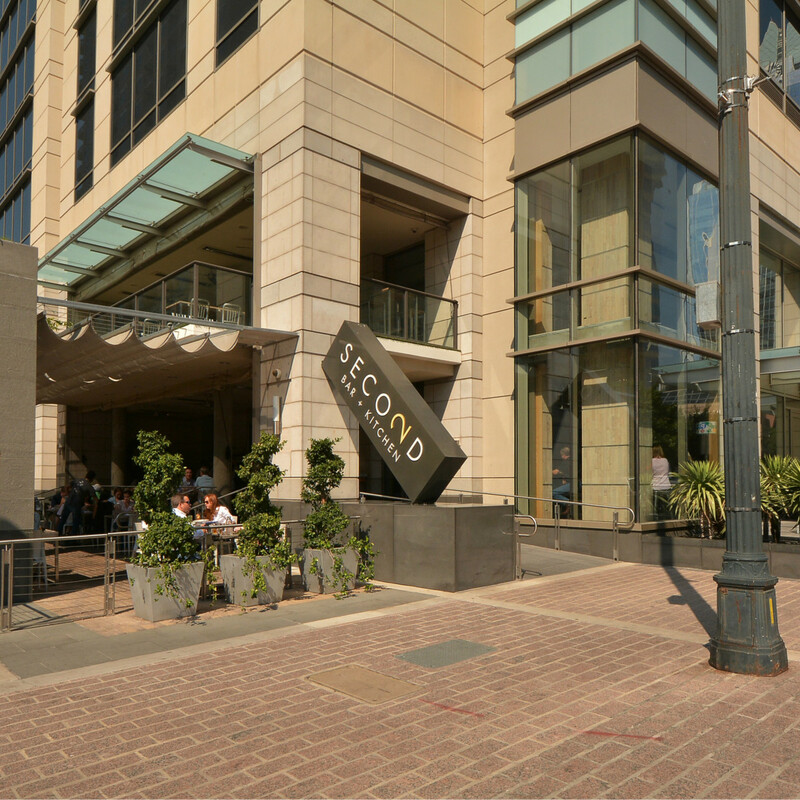 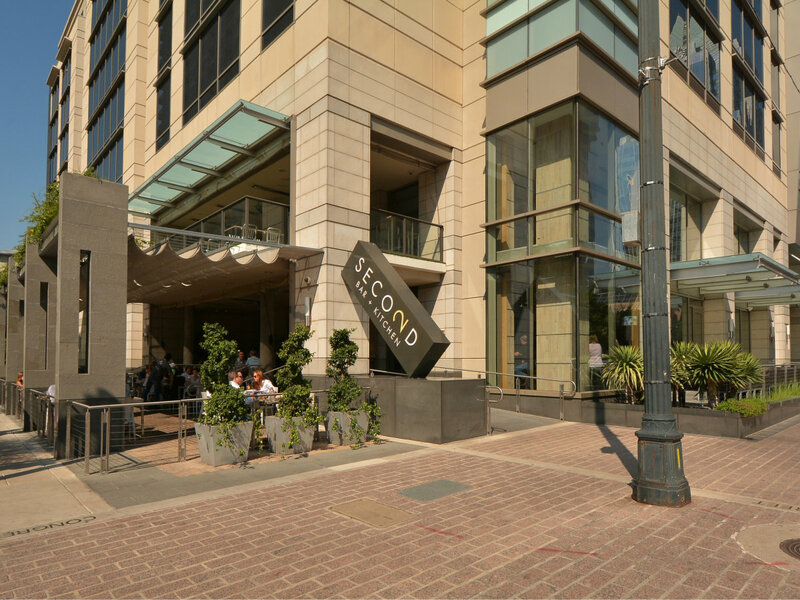 The real estate adage about "location, location, location" is doubly reinforced with this condo at 200 Congress Ave., which has the twofold reward of being located in a prestigious building right in the heart of downtown Austin. 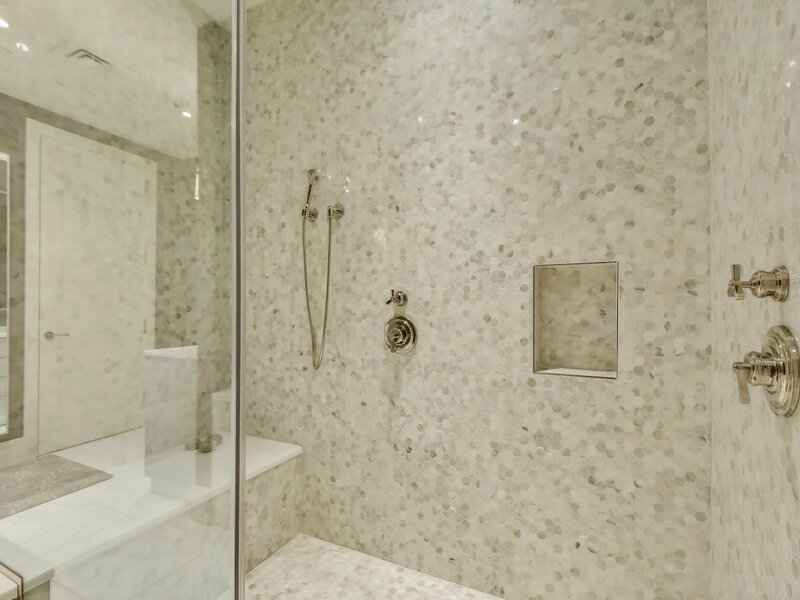 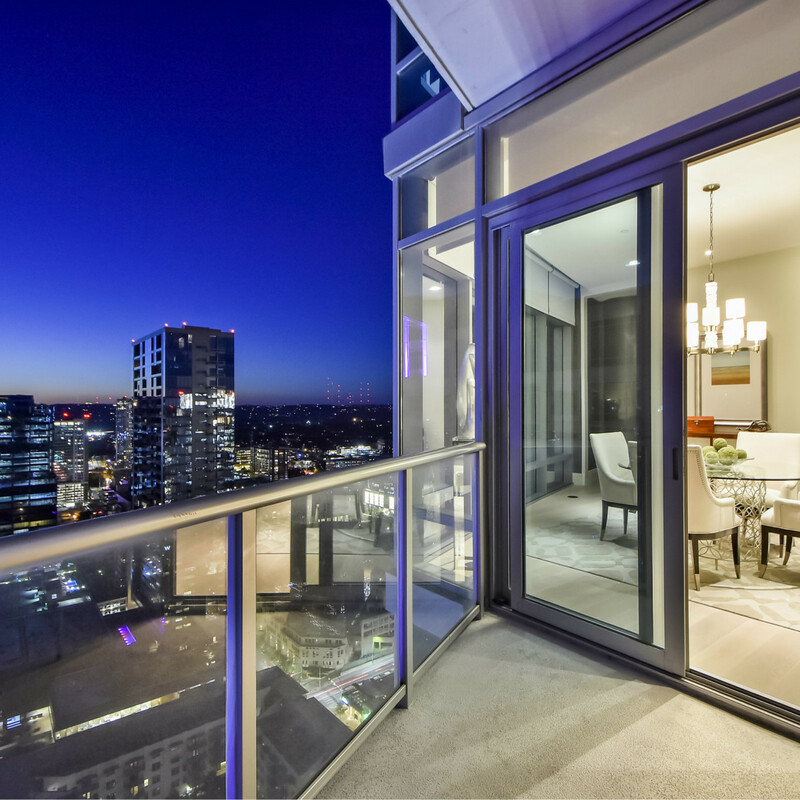 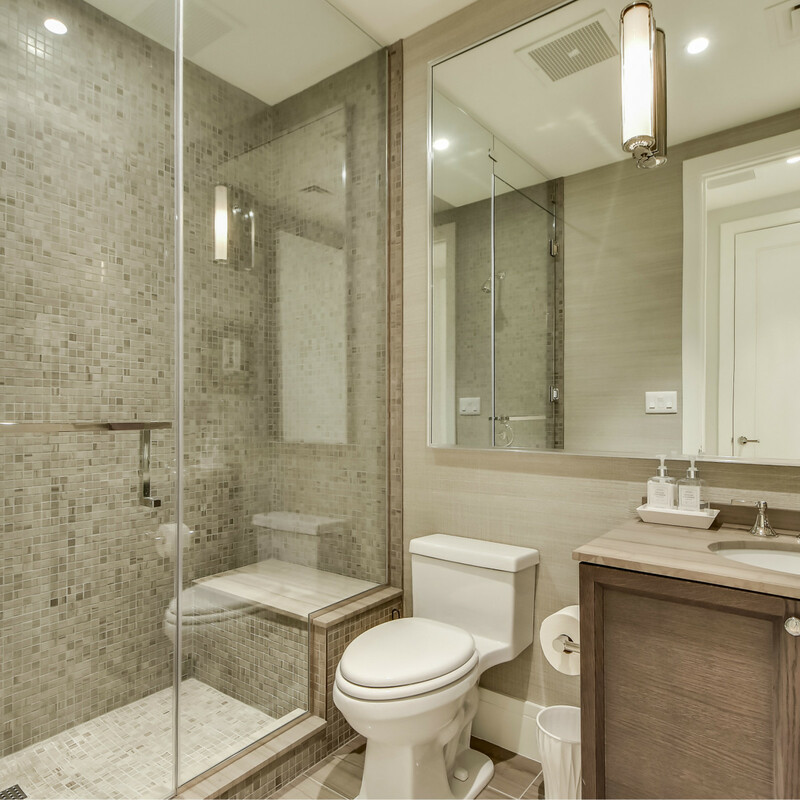 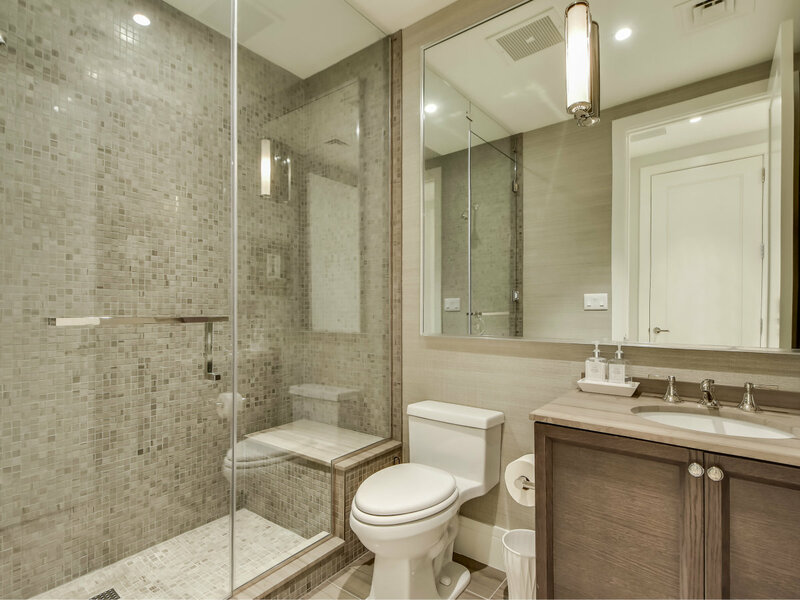 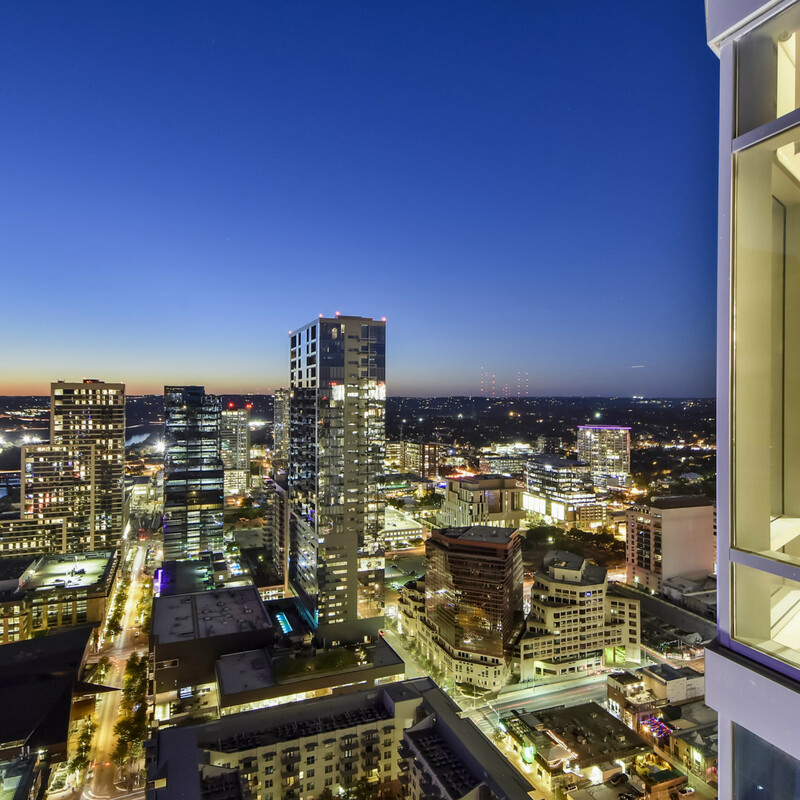 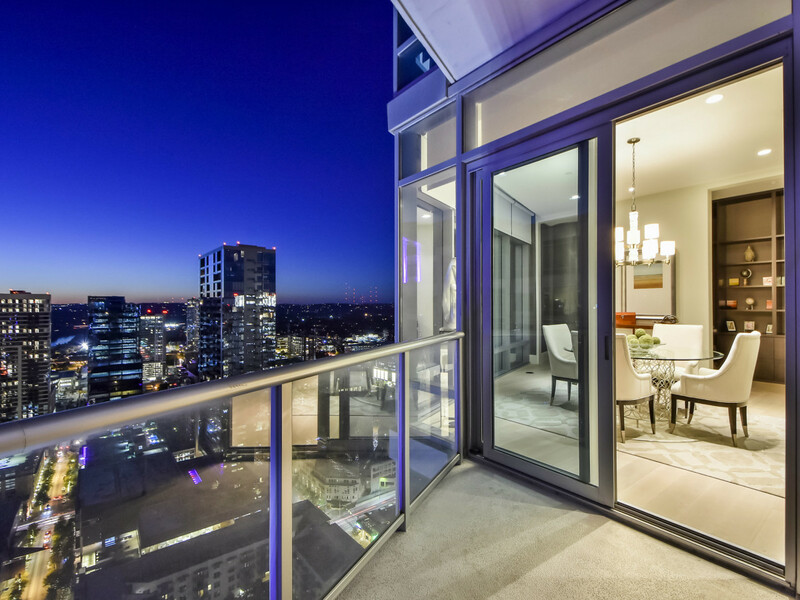 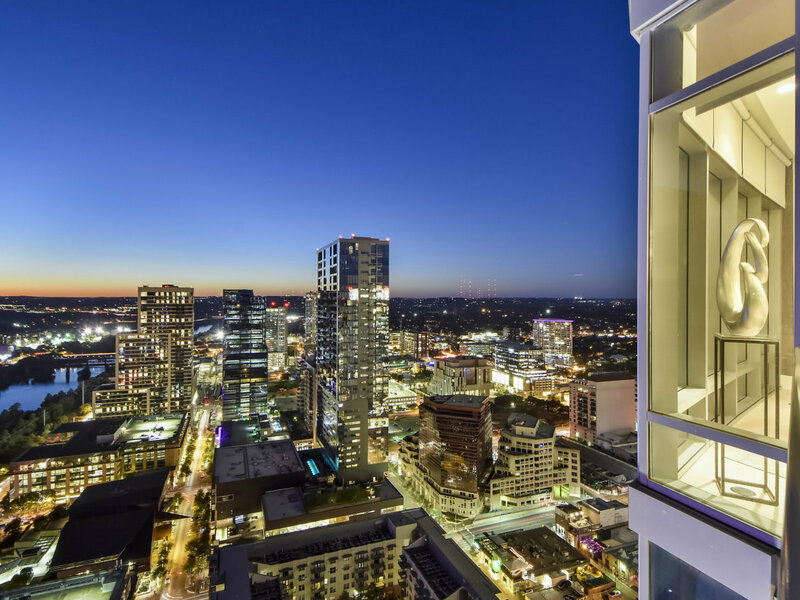 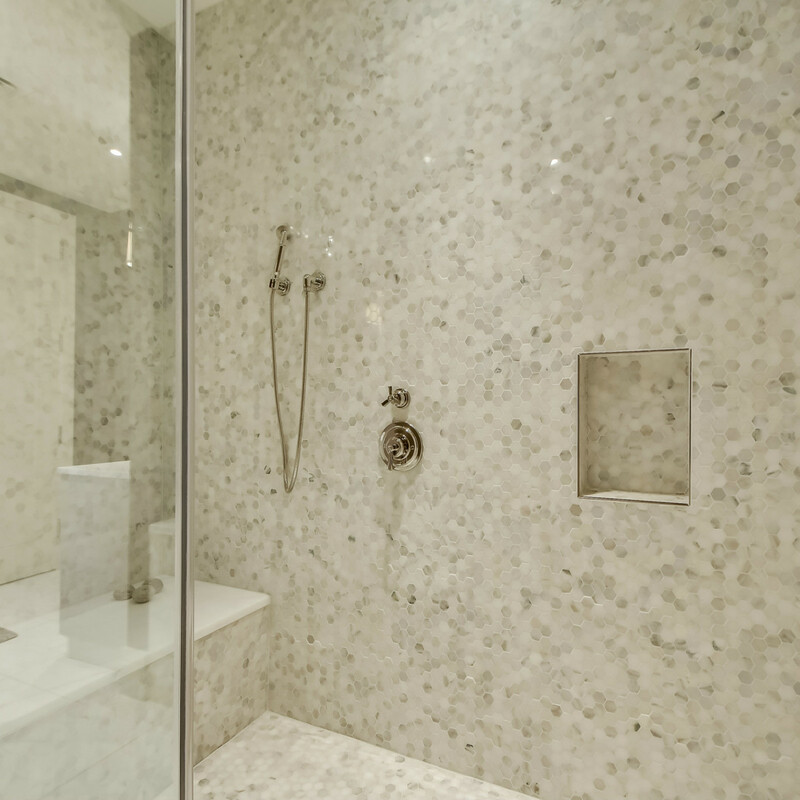 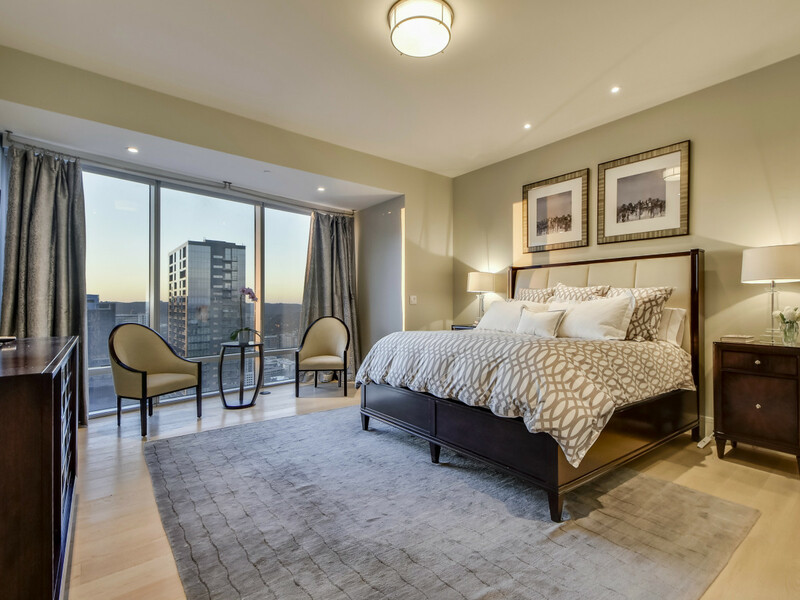 In the coveted southwest corner of The Austonian's 33rd floor is a two-bedroom, two-bathroom unit that packs a lot of transitional style into its 2,185 square feet. 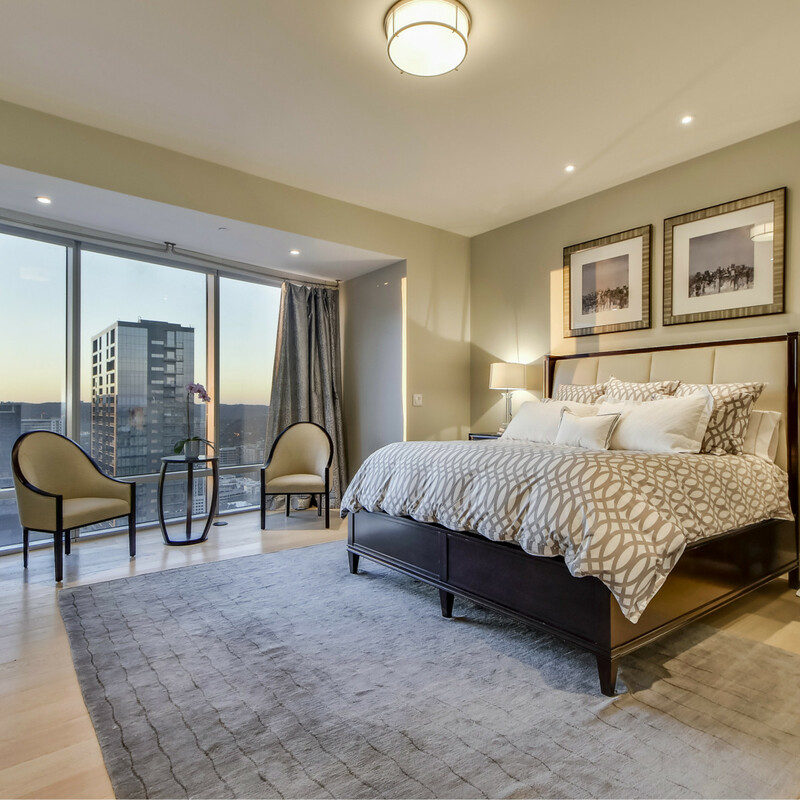 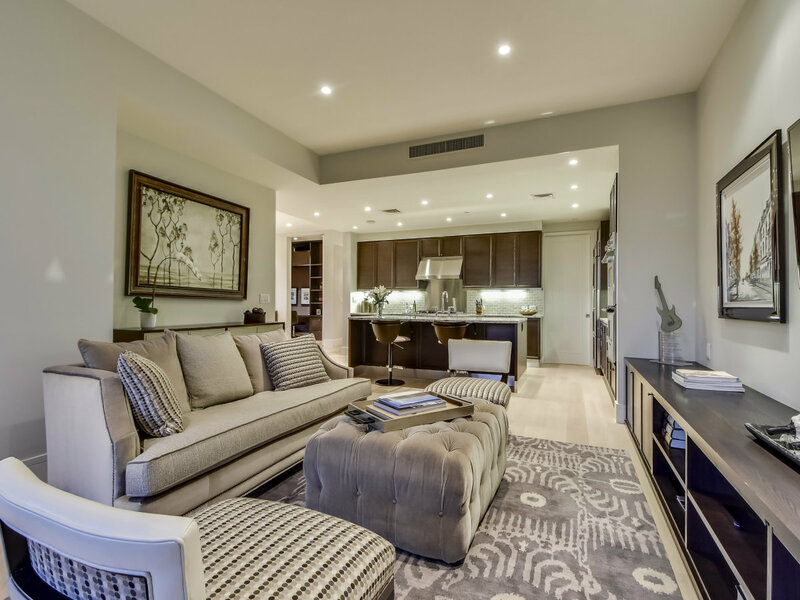 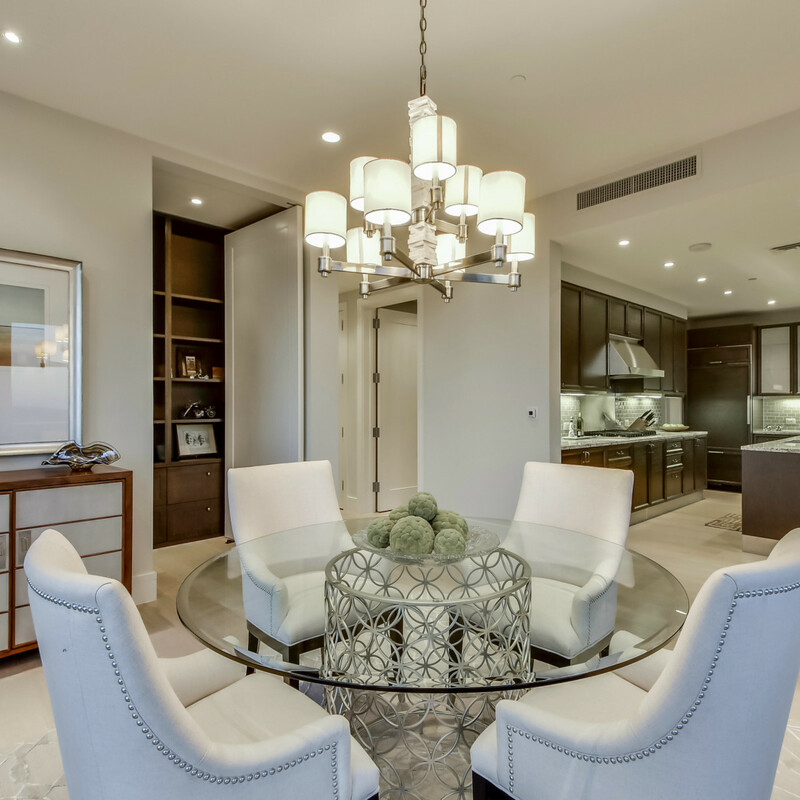 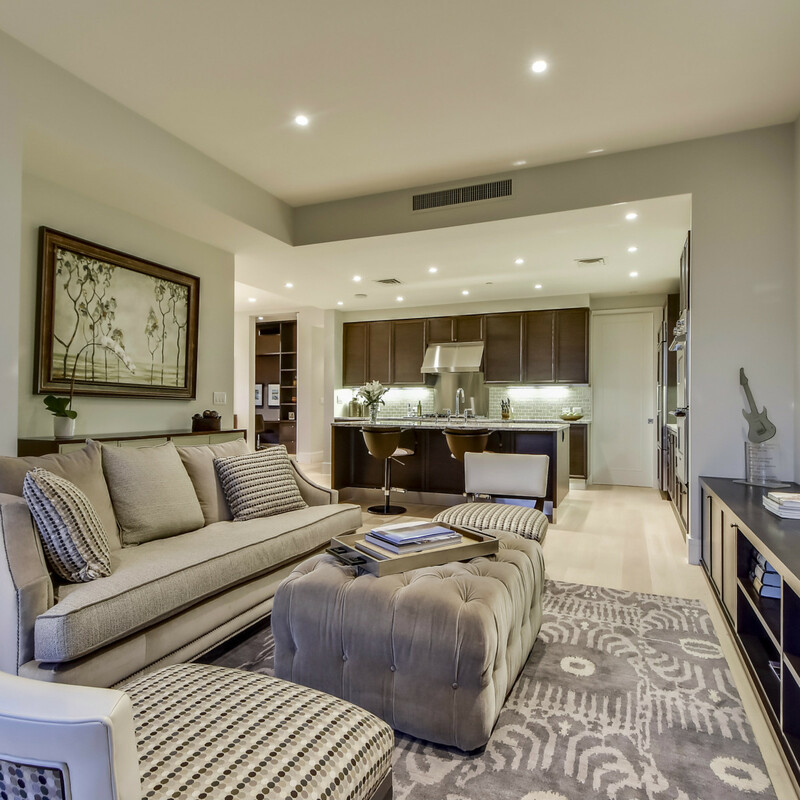 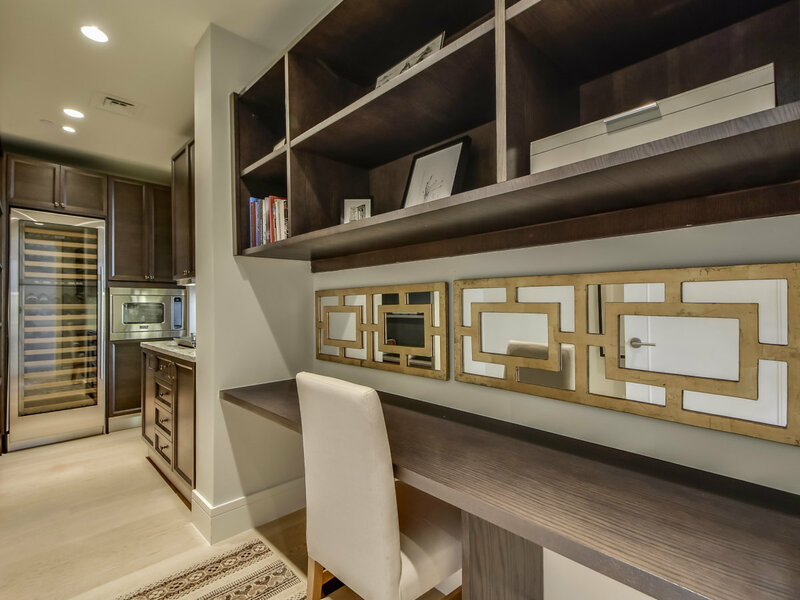 Greer Interior Design has accented #33CC's custom floorplan with such luxurious perks as Scavolini cabinetry, Waterworks fixtures and sinks, and a gourmet kitchen outfitted with Viking, Sub-Zero, and Thermador appliances. 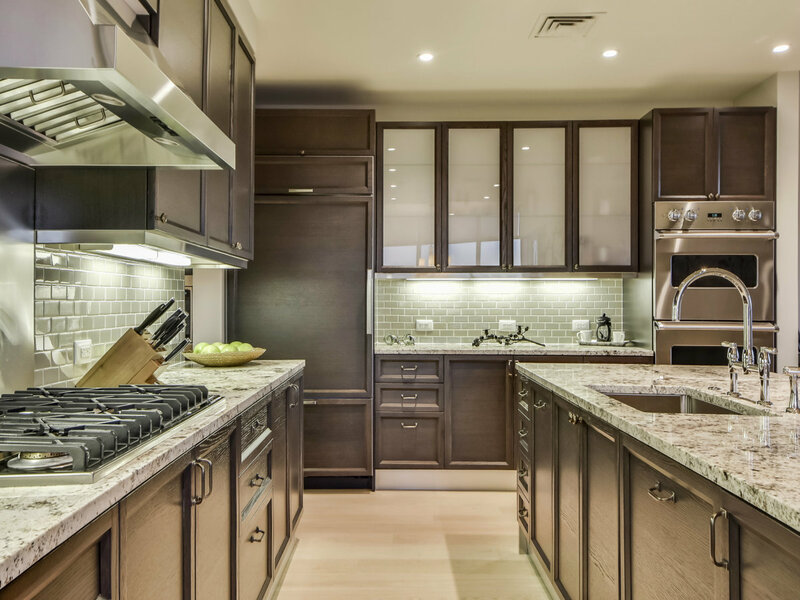 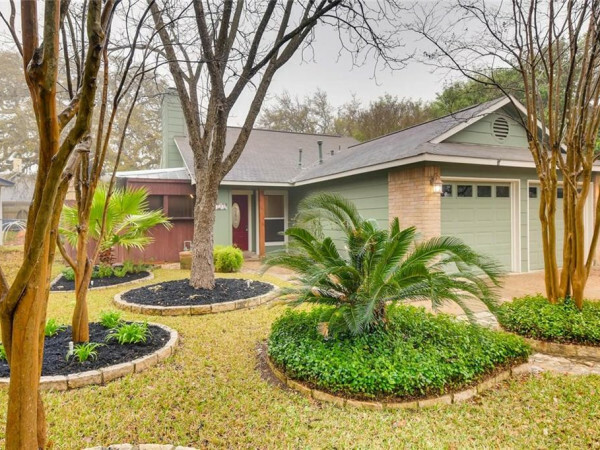 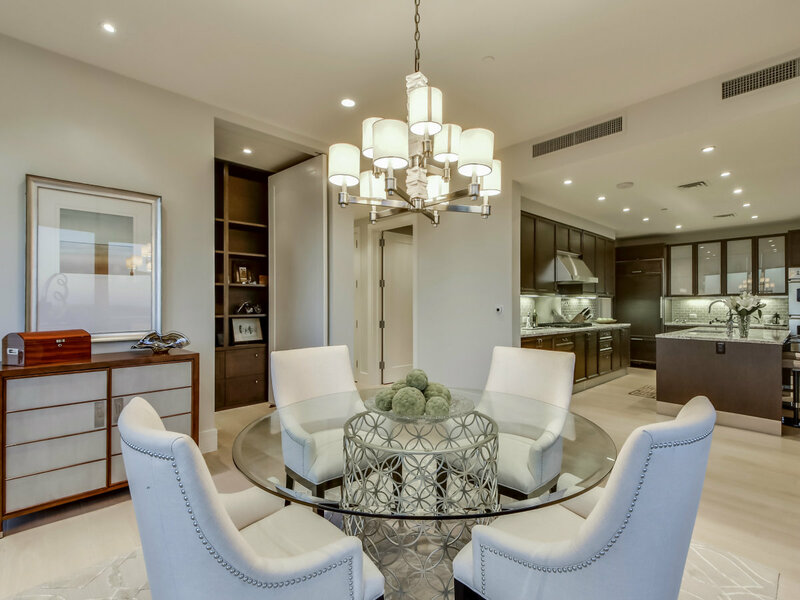 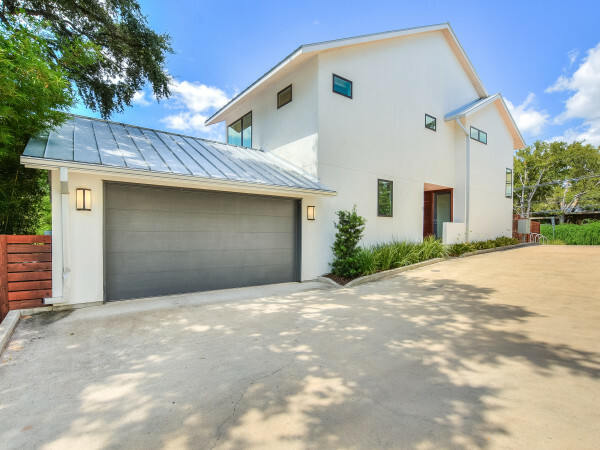 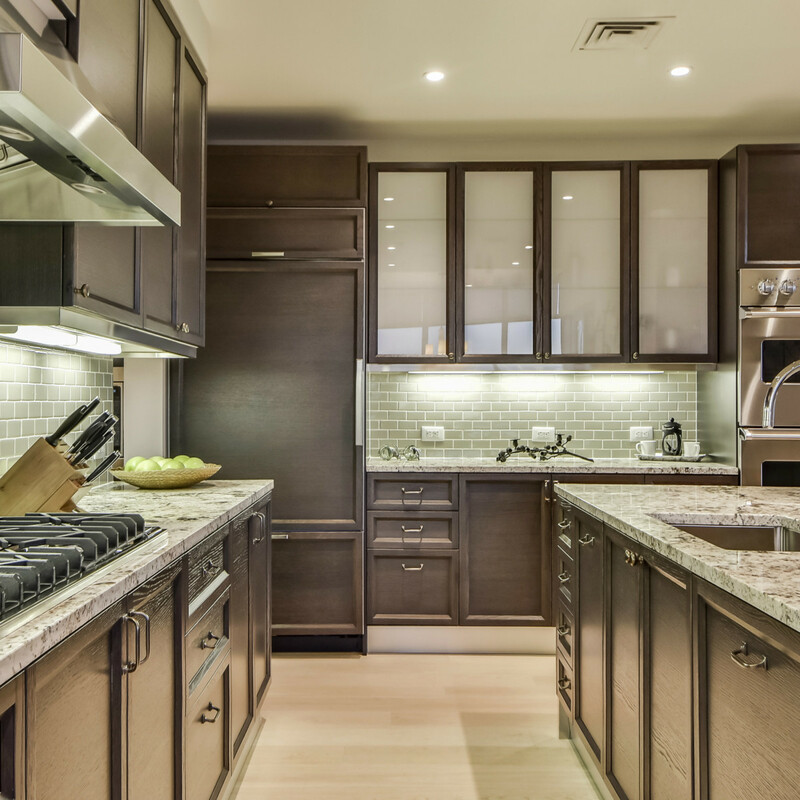 You can also count on the traditional "must-haves": gleaming wood floors and natural stone countertops (granite in the kitchen, marble in the bathrooms), along with an oversize kitchen island for extra seating. 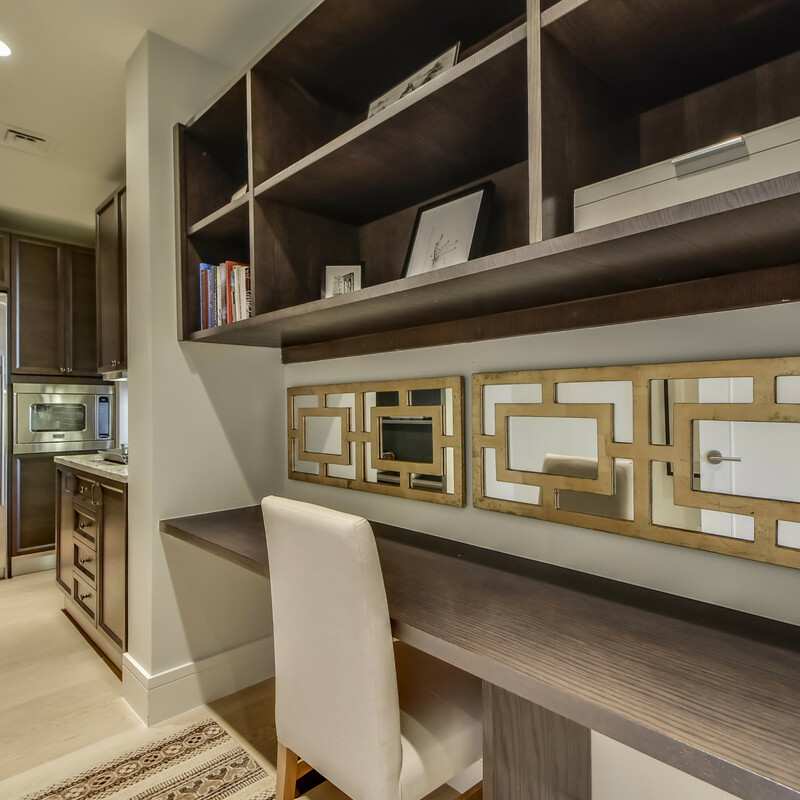 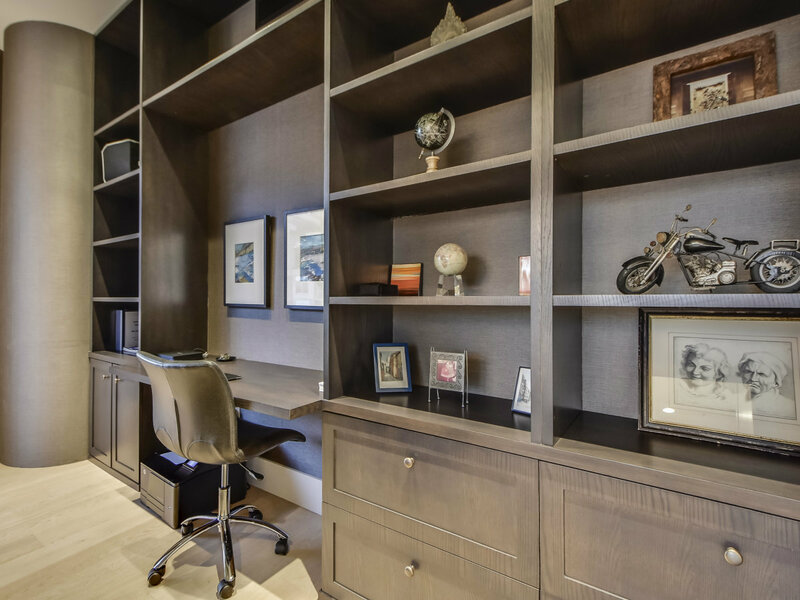 There's also a separate office and a butler's pantry, which provides excellent storage as well as a convenient spot for a home command center. 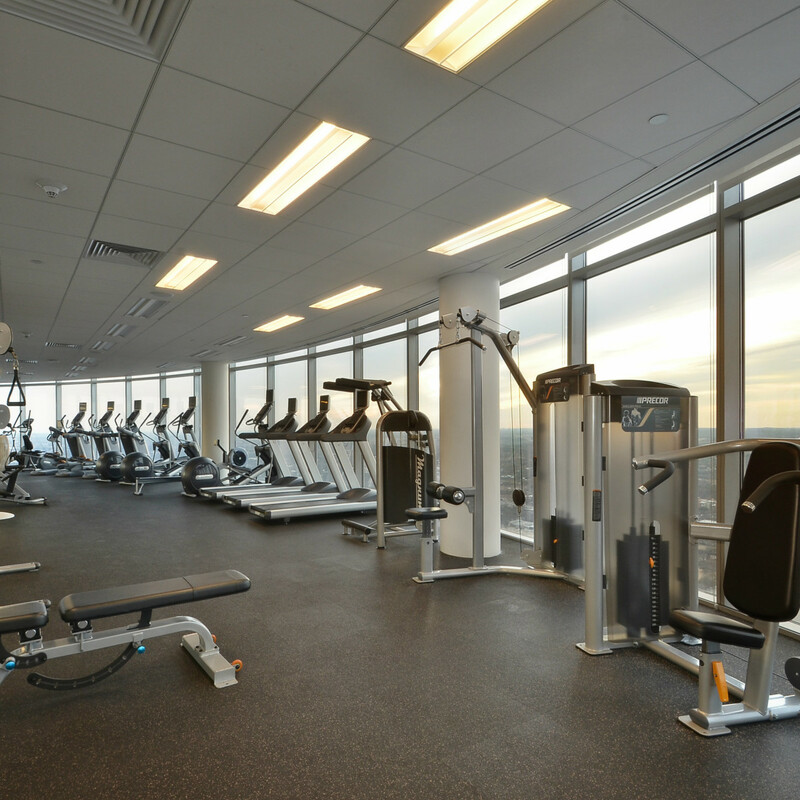 Two reserved parking spaces and a climate-controlled storage unit are additional pluses. 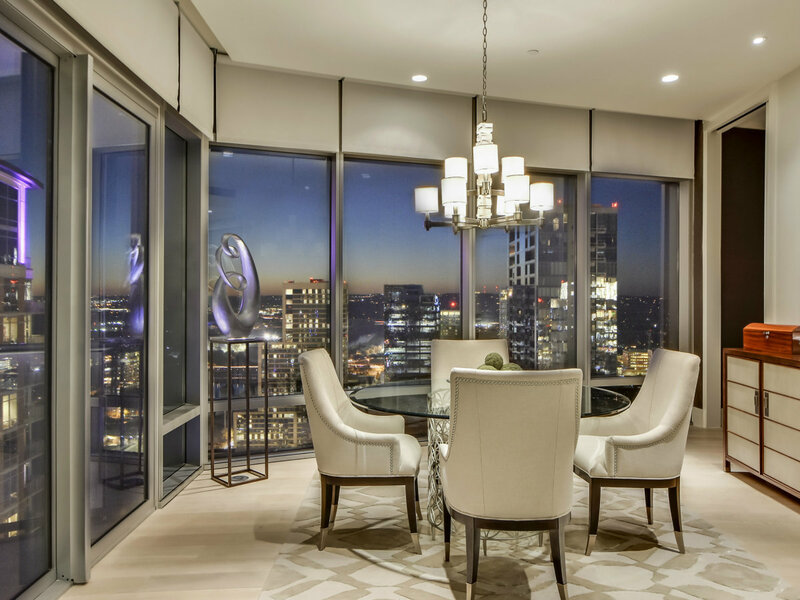 But the most jaw-dropping feature is the home's stunning views, which can be enjoyed through the many walls of floor-to-ceiling windows. 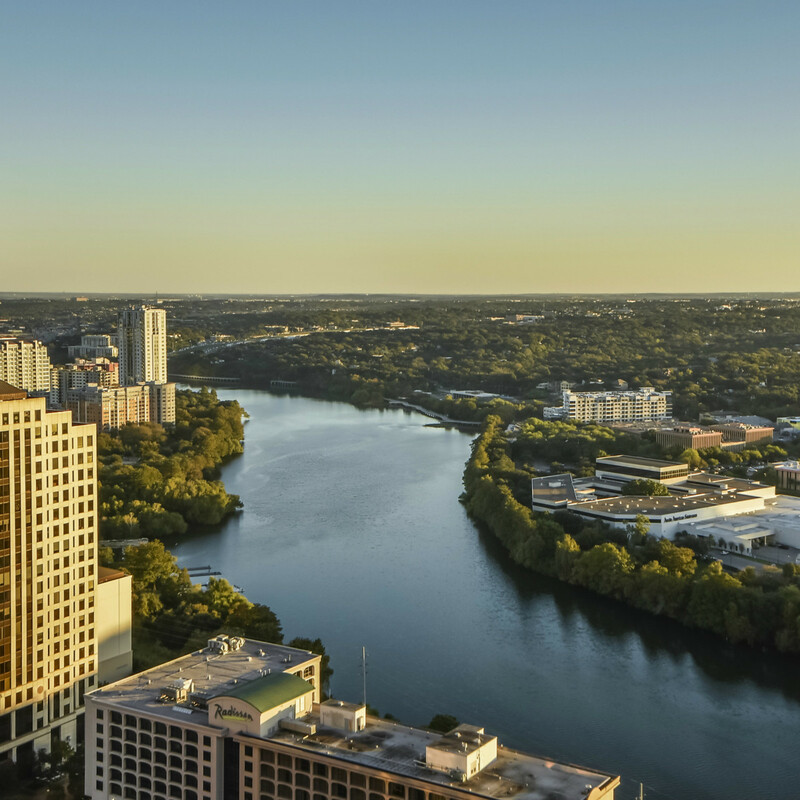 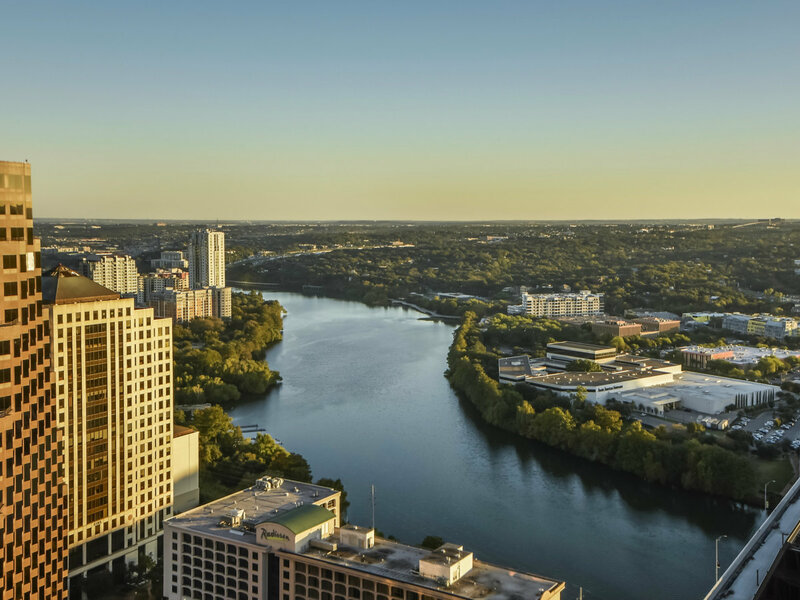 Sunsets over Lady Bird Lake and the glittering Austin skyline greet you at every turn, reiterating just how incredible The Austonian's location truly is. 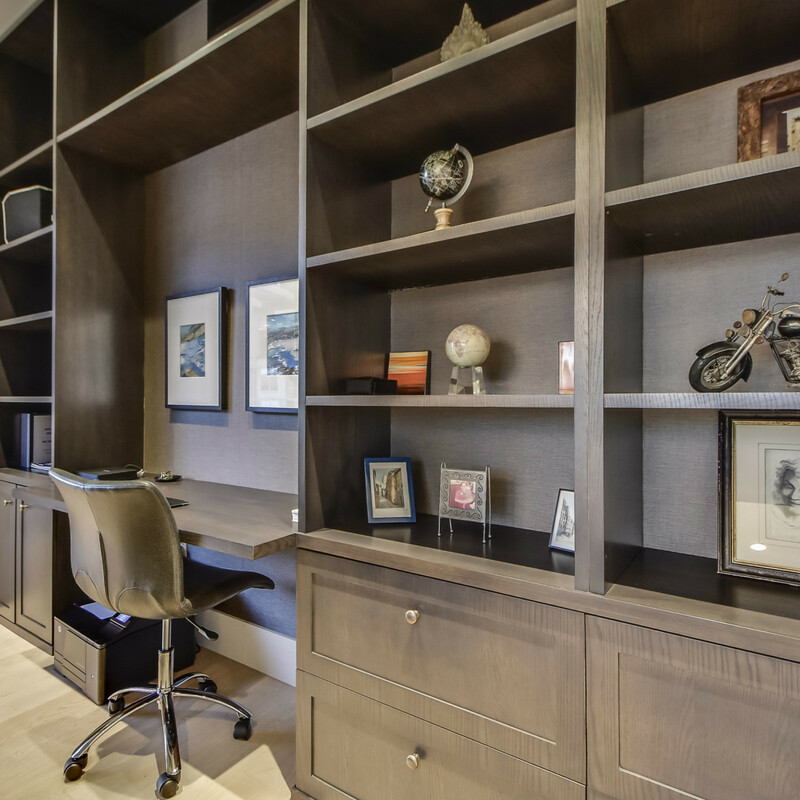 Living in this illustrious building also comes with a hefty list of its own perks — 40,000 square feet of them, to be precise. 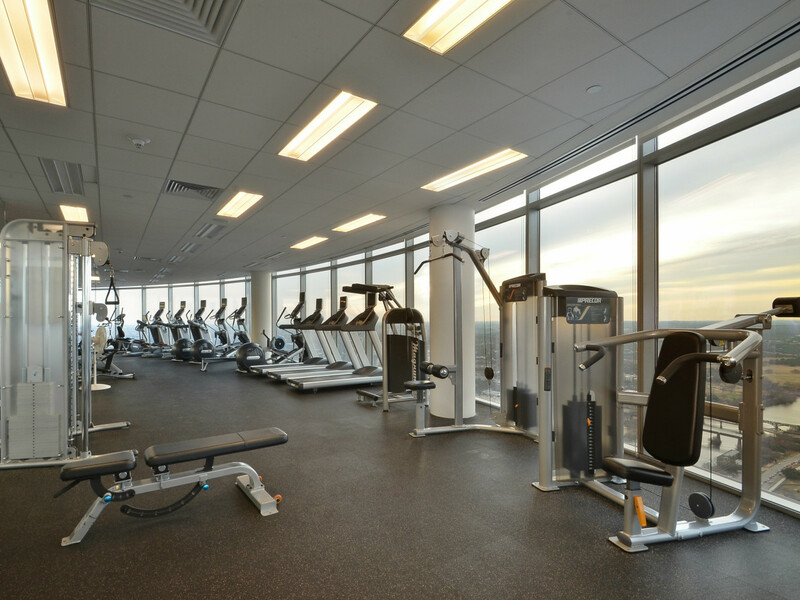 From the serene 10th floor lawn with its saltwater lap pool and outdoor kitchen and fireplaces to the top-floor fitness center, which includes a yoga/pilates studio and more than 20 pieces of resort-quality equipment, every amenity is designed to greatly enhance the residents' quality of life. 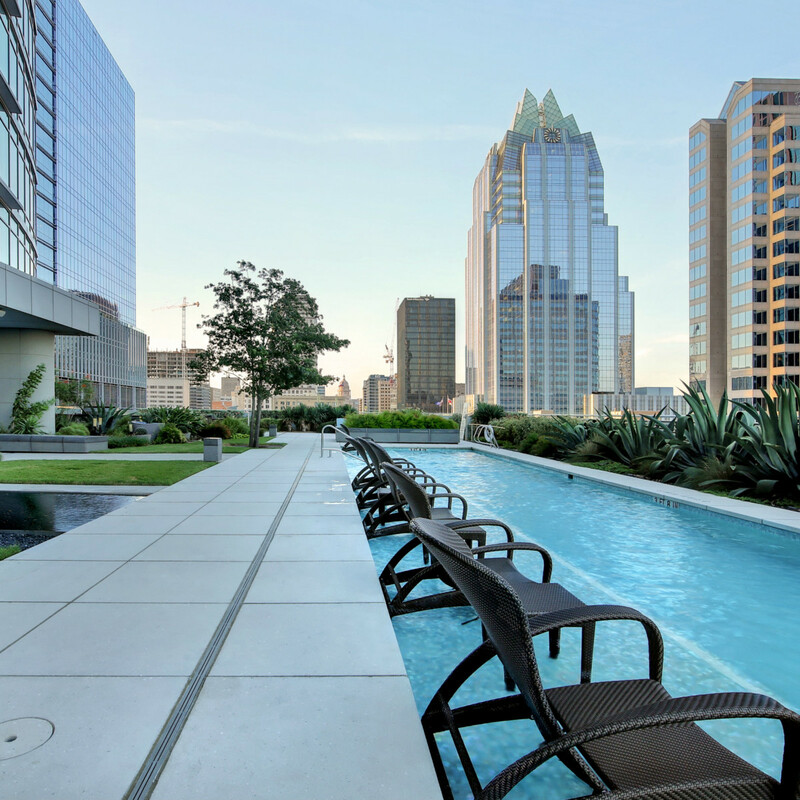 Add in a billiards bar, private spa treatment rooms, interior dog grooming room (for when Fido is finished romping around the 600-square-foot dog park), stocked library, temperature-controlled wine room, and 12-seat movie theater, and there's not a need that hasn't been anticipated and then surpassed. 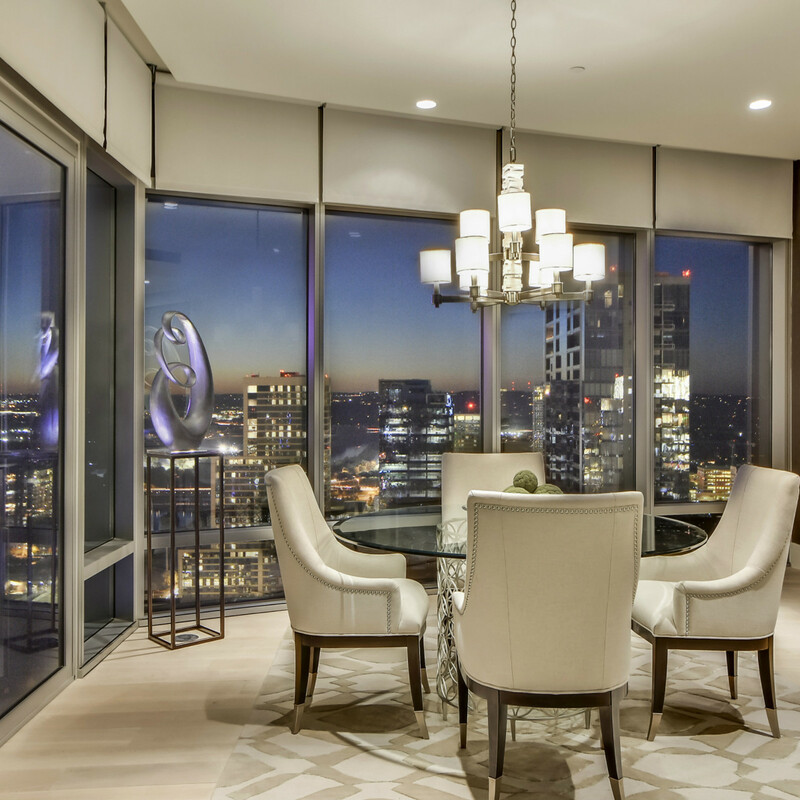 There's even a 6,000-square-foot space on the 55th floor called the Austonian Club where residents can host events. 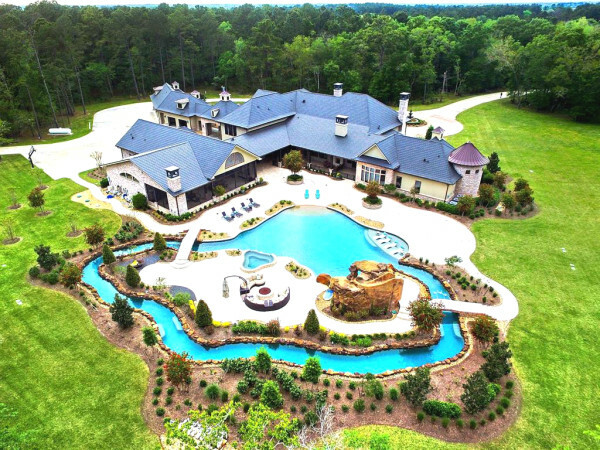 Sheila Paynter of Wilson & Goldrick Realtors has the luxe listing, which is priced at $2,299,000.